With World War Two being fought all around the Swedish boarders the Army was desperate for more tanks that could fight enemy tanks if they ever invaded Sweden. They only had 16 Strv m/38 tanks and 20 m/39 tanks that had were capable of firing armour piercing shells. The 46 Strv m/37 tanks were only armed with two machine guns. They needed more tanks. The completed tanks were due to be delivered as early as the summer of 1940, but before this was happened, the Germans stopped the shipment on the grounds that German deliveries had seniority. They seized the tanks for their own use. The Swedish Government protested to Berlin and to plicate them the Germans allowed them to buy the manufacturing license so they could start their own production line in Sweden. The seized tanks were given the name Panzer 38(t) Ausf S but they were fitted with a 37 mm cannon built by Skoda instead of from the Swedish company Bofors. They were used during the Blitzkrieg attack at the start of the Battle of France and during the fighting at Dunkirk. Later they were shipped to the Eastern Front and used in the Operation Barbarossa invasion of the Soviet Union. 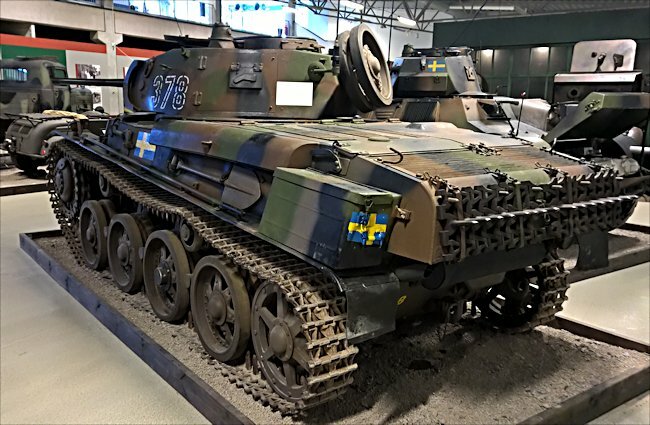 The Swedish company Landsverk were given instructions to produce a stronger tank chassis that could take increased armour protection. Their engineers stuck with the original company L-60 tank design but made further changes from the Strv m/39 L-60 S-II chassis. They called it the L-60 S-III and the Swedish Army named the new tank the Stridsvagn m/40. 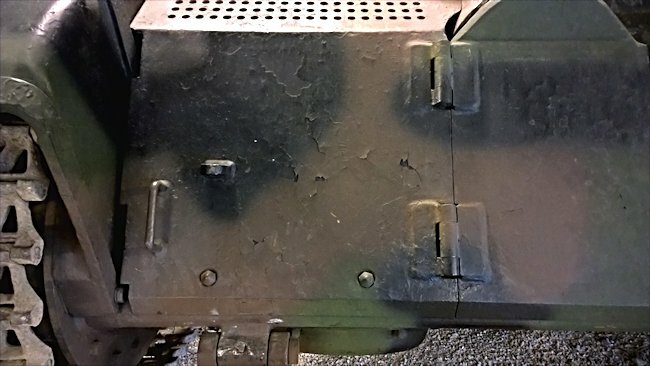 Like its predecessor the Strv m/39 additional armour plates could be bolted onto the front of the tank. But some of the plates were welded onto the tank hull from the onset. The Bofors 37mm gun was not upgraded and neither was the engine except for a new designed air intake layout. Due to a problem in getting deliveries of the German FAK-55 gearbox used on other tanks an new hydrodynamic transmission from Atlas Diesel of the type Lysholm-Smith (a system that had been used in buses) was installed. The Strv m/40 became the first tank in the world to be fitted with an automatic gearbox. In October 1940 the Swedish Government order 100 L-60 S-III tanks from Landsverk. Deliveries were scheduled to arrive between April and November 1941, but problems in the production of both the main 37mm guns and gearboxes delayed final delivery until 9 March 1942. The tanks were given the Stridsvagn m/40. 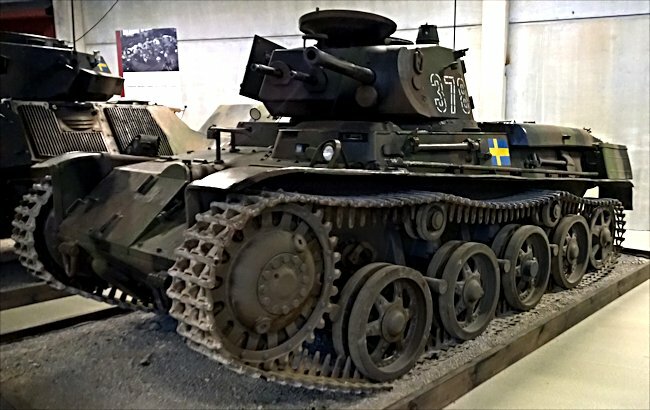 They joined the other Swedish m/37, m/38 and m/39 tanks issued to the P4 Regiment at Skövde the P3 Regiment at Strängnäs and the P2 Regiment at Helsingborg. In June 1942 the Swedish Government issued an additional order for a further 80 Strv m/40 tanks. A more powerful engine was installed in this batch of Strv M/40 tanks that could produce 162 HP instead of 142 HP. Its Suspension was strengthened and had a slightly different front armour design. Supplies had now reached Sweden of the German 5 speed mechanical FAK gearbox used in the Strv m/38-39 by the autumn of 1942. They were used instead of the Atlas-Diesel Automatic gearbox. A fitting was added to the rear of the turret to enable spare track wheels to be carried. The contract had stated that Landsverk would deliver 10 tanks per month starting November 1943. The lass consignment of finished tanks were supplied to the Swedish Army on September 1944. This version of the m/40 tank was given the name Strv m/40 K (K because the tank was manufactured at the Karlstads Mekaniska Verkstad factory).The majority were placed with Regiment P2 in Helsingborg. The previously delivered m/40 tanks were renamed Strv m/40 L (L for landsverk). The way to identify the different versions of the m/40 tank is to look at the two machine guns on the turret. On the Strv m/40L the central machinegun is slightly lower than the one on the right of it. The machine guns are in-line at the same height on the Strv m/40 K turret. 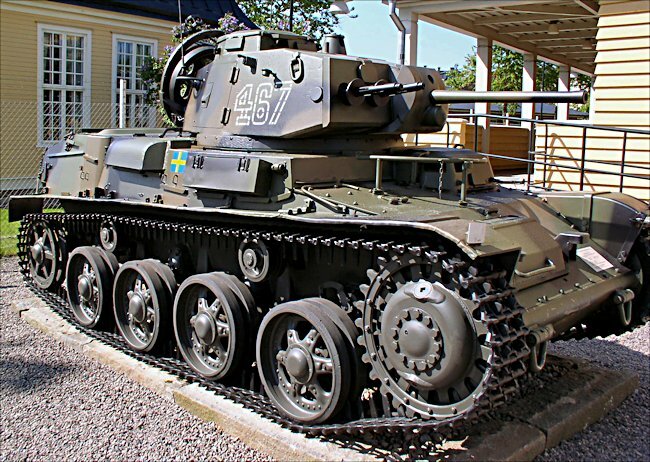 This preserved Swedish m/40 L tank can be found at the Hasselholms Museum. What are the differences between the Strv m/40 L and m/40 K tanks? Both tanks had the same 37mm Swedish Bofars m/38 gun two turret mounted 8mm m/39 Machine guns although the Strv m/40 L's central machine gun was lower than the one on the right. The dimensions of both tanks were very similar except that the m/40K was slightly higher, taller and wider. The m/40K now weighed 10.9 tons. 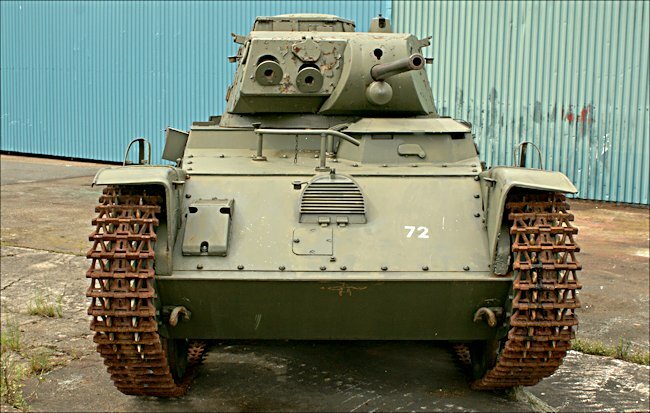 The m/40L only weighed 8,93 tons with the additional armour added. Only 80 m/40K tanks were made between 1943-44. A total of 100 m/40L tanks were made between 1941-42. 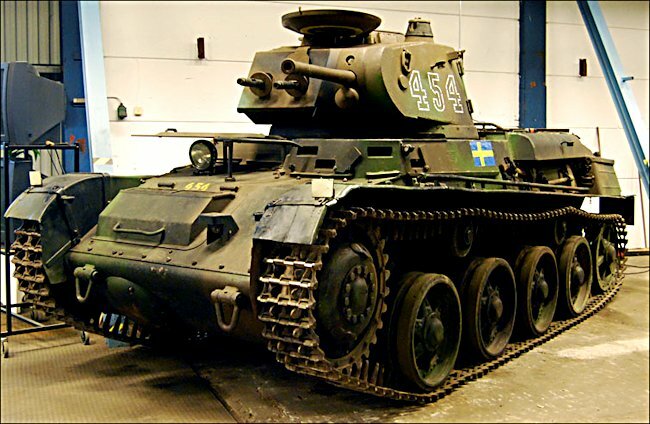 Swedish m/40 K tank. Notice that the machine guns are the same height in line with each other. 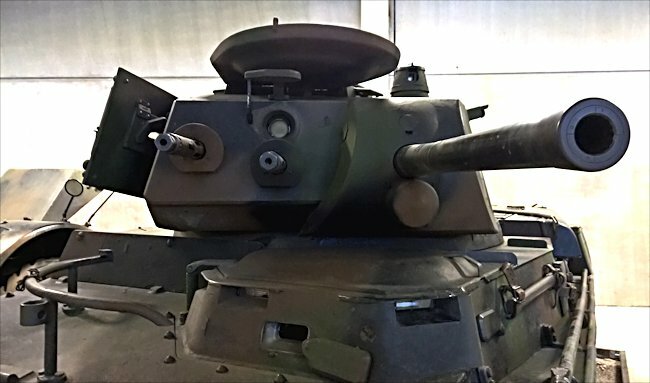 Where can I find preserved other Stridsvagn m/40 tanks?